Zelda fans have a chance to show off their Legend of Zelda: The Wind Waker HD-inspired art during the Symphony of the Goddesses tour. Do you have the power, courage, and wisdom to submit your Zelda fan art to Nintendo? The Sept. 12 Legend of Zelda: Symphony of the Goddesses concert at the Benaroya Hall in Seattle wants to feature fan-artists. Nintendo is holding the contest between Aug. 22 and Sept. 2, and artists can submit their entries through Nintendo's Facebook page. On or about Sept. 3, a panel of judges will select the top 50 entries, which will be featured in a video montage before the concert. The top five entries will be shown in the Benaroya Hall lobby. These five winners will also each receive one Wii U Deluxe Set system and one The Legend of Zelda: The Wind Waker HD game. Entries include, but are not limited to, drawn art, pictures of food inspired by the game, or videos of songs inspired by the game, as stated in the official rules. The Wind Waker should be the inspiration for the art as opposed to other Zelda titles. The contest is only open to residents of the United States who are at least 18 years old. The Legend of Zelda: Symphony of the Goddesses is in its second tour. The concert blends videogames and classical music into one, arranging music from 25 years of The Legend of Zelda into a four-movement symphony. The Sept. 12 concert in Seattle begins at 7:30 pm. As a past attendee of the concert, I cannot stress enough how beautiful the symphonic movements of Zelda are. 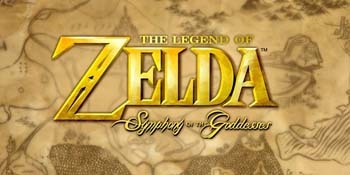 Symphony of the Goddesses has the classical structure of an orchestra with the passion and memories of gaming.